The bank of three deep cycle AGM marine 105AH were not new when I got the boat and since they were installed in 2006 are considered to be running on borrowed time. Add to it the lousy care I’ve been giving them AND the fact that a non-AGM wet cell was added to the mix as a dedicated starting battery, the charging was not always efficiently done (according to my “light” reading on the subject). 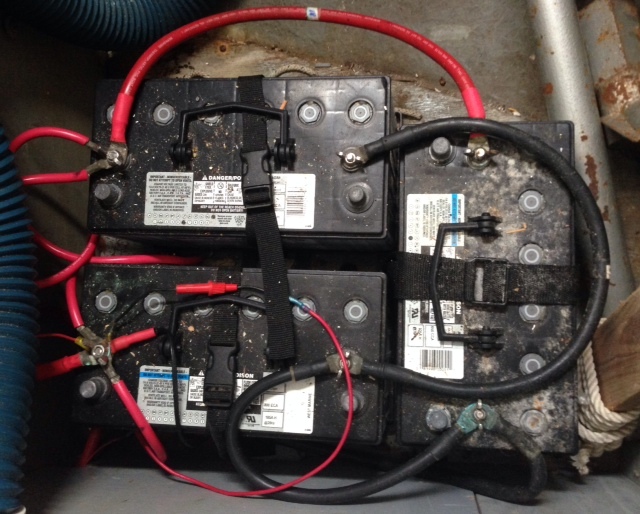 On return I’ll be shopping for more batteries and these puppies are not cheap … even if I do horse them aboard and into the bilge myself. I can feel my sore back aready!